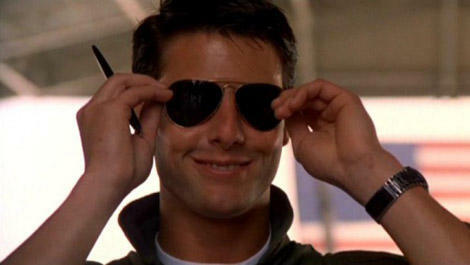 Sequels The World Doesn’t Need Dept: Someone’s Writing A “Top Gun” Sequel. | The Cineaste's Lament. ← “The Hunger Games” Gets A PG-13 And A New TV Spot. Sequels The World Doesn’t Need Dept: Someone’s Writing A “Top Gun” Sequel. From TotalFilm comes the news that Peter Craig (“The Town“) has been hired by Paramount to pen a sequel to the 1986 military recruiting flick starring Tom Cruise, Anthony Edwards, Val Kilmer and Kelly McGillis. “As yet, there has been no official confirmation that Tom Cruise will return, although it is widely anticipated that the star will make an appearance in some capacity, with original helmer Tony Scott also keen to resume directorial duties. Cruise has previously expressed an interest in reprising his role as Maverick, with producer Jerry Bruckheimer also thought to be amenable to the idea. This entry was posted in action, Film News, Sequel-Itis and tagged Kelly McGillis, Tom Cruise, Top Gun, Top Gun sequel, Val Kilmer. Bookmark the permalink.